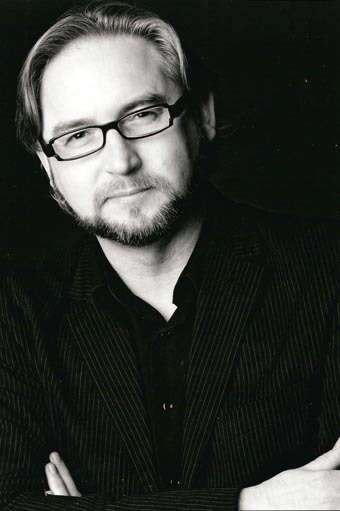 Vern Thiessen is one of Canada’s most produced playwrights. He has written for stage, radio and television. His stage plays have been seen across Canada, the US and Europe, including Shakespeare’s Will, Apple, Einstein’s Gift, Blowfish and Vimy. His most recent play, A More Perfect Union, recently had its world premier in New York. Thiessen is the recipient of numerous awards, including the Elizabeth Sterling Haynes Award for Outstanding New Play, The City of Edmonton Arts Achievement Award, the University of Alberta Alumni Award for Excellence, The Canadian Jewish Playwriting Competition, and the Governor General’s Literary Award. He has also been shortlisted for the prestigious Siminovitch Prize in Theatre. Thinking about sitting down and writing. Any time that I am writing. The world, both outside my door, and inside my head. Music, does it inspire or detract? Essential. All plays have music, rhythm, a beat. What music do you write to? I listen to the the music the play demands me to listen to – both on my ipod and in my head. Best advice someone gave you about your work? The play is never as good as you think it is, and its never as bad as you think it is. What is the most satisfying sound? The espresso maker in the morning. My parents. They are my heroes and my inspiration. Whatever they wanted to eat. How important for playwrights is networking / knowing your community? What inspired you to write A More Perfect Union? I was commissioned to write a play about what happens when passions, professions and politics collide. I did so. What question haven’t I asked that I should have asked?